Pullman WA Criminal Defense Attorney | Defending charges of DUI, MIP, drug possession, assaults, felonies, etc. Defending charges of DUI, MIP, drug possession, assaults, felonies, etc. In a recent DUI jury trial I did, the defendant was convicted but the court ordered a new trial because of an error that occurred during the trial. When you think of an error that could occur in a DUI trial, most lawyers would think that maybe it had something to do with the accuracy of the breath test, or the field sobriety tests. But in this case the error that occurred was a little bit different. 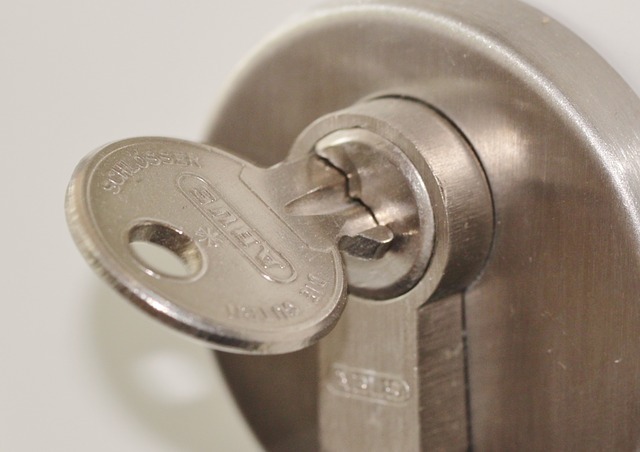 In this DUI trial the court granted the defendant’s motion for a new trial because it became clear that part of the trial was conducted when the courthouse was already closed and locked for the night. The courthouse doors locked at 5 p.m. but the trial wasn’t over until 5:15 p.m. The Sixth Amendment to the U.S. Constitution reads: “In all criminal prosecutions, the accused shall enjoy the right to a speedy and public trial….” This public trial requirement means that the courtroom has to be publicly accessible in all trials except under the most extreme circumstances. Whether the case is a major felony or just a misdemeanor, the rule is the same. The public trial requirement was written into the Constitution as a safeguard to keep the participants of the trial honest. Secret trials are banned in most free countries. An open trial process also informs the public about how their system is working. The in question case involved a WSU student who was alleged to have driven while intoxicated in Pullman, Washington. The case didn’t attract any media attention. There really wasn’t anyone watching the trial anyway. However, the constitution is clear. Trials must be open to the public. The law doesn’t just apply to muscle cars. In the matter that I handled, one driver was operating a 1987 Toyota MR2, and the other was driving a 2008 Jeep Patriot. 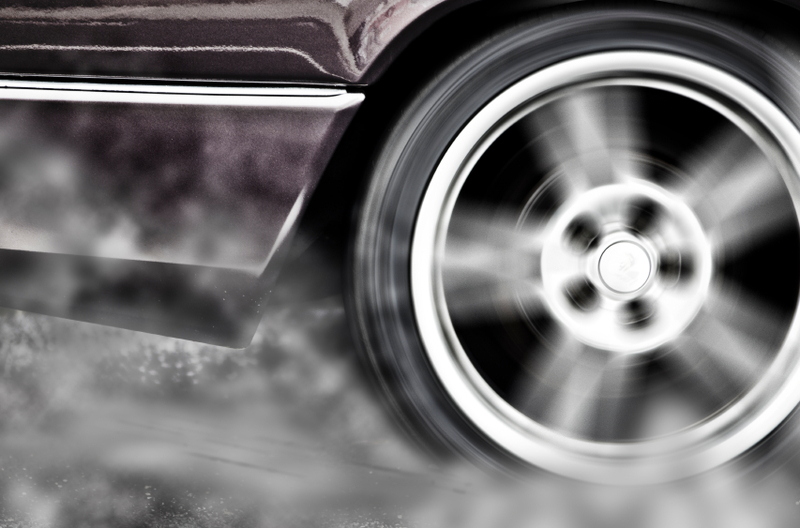 Since the 1990’s street racing has been a part of American culture. The practice’s popularity started in south Florida, and spread to California and the rest of the country. In Washington state, the offense is a gross misdemeanor punishable by up to 364 days in jail and a $5,000 fine. If a person is injured as a result of the racing, the offense is classified as Vehicular Assault. A conviction for Vehicular Assault is punishable by up to 10 years in prison, and even first time offenders can find themselves serving a year or more in prison. If a person is killed as a result of the racing, the punishments can be even greater, and the offense is classified as Vehicular Homicide. Often in street racing cases, the competition or race is discussed in social media, or at least discussed by text messages. Whether it is Facebook, Instagram, or Snapchat, police and prosecuting attorneys can subpoena records of discussions about street racing. Even when a discussion is “deleted” it still remains on the company servers for months. Some arrests for street racing turn into broader criminal investigations into auto-theft, drugs, or trafficking stolen auto parts. Will an MIP Show Up on a Criminal Background Check with the Washington State Patrol? If you are charged with an M.I.P, you may be offered a “deferred sentence.” In such a deal, a judge accepts your plea of guilty, but defers sentencing for a year, and at the end the judge may “permit a defendant to withdraw the plea of guilty and to enter a plea of not guilty, and the court may dismiss the charges.” See RCW 3.66.067. Sounds like a pretty good deal right? Wrong. Even after the charge is “dismissed” it will most likely appear on your record. If you have already been through the court system on an M.I.P., you may want to run a background check on yourself to see if the charge appears on your record. To check your record, visit the Washington State Patrol site, and open an account. A background check cost only $10. This is the site that most employers use when checking to see if applicants have a criminal record. If the conviction appears, you may want to check to see if it can be vacated. If you haven’t resolved your Minor in Possession of Alcohol case yet, you will want to an assurance (preferably in writing) from your lawyer that the matter will not appear on the State Patrol computer as a conviction. 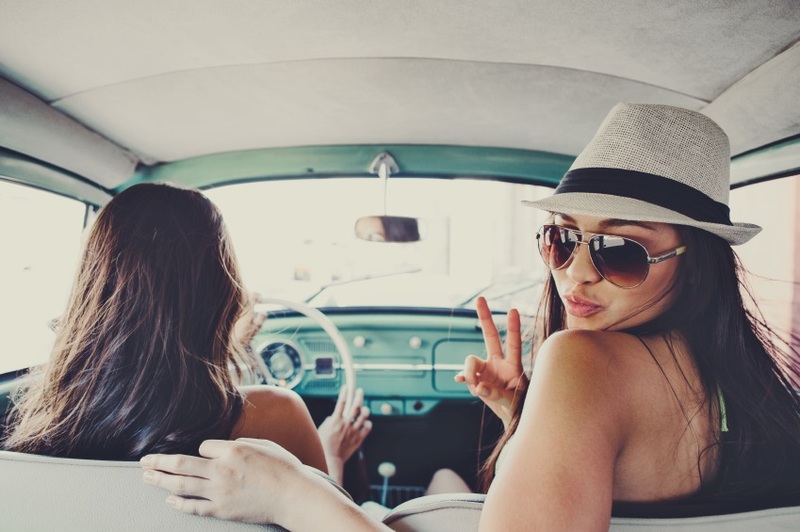 Whether you are away at college, or headed to spring break with classmates, an out-of-state speeding ticket is frustrating. You cannot fight it without another road trip on your court date, and you wonder what happens to your driver’s license when they occur. Sometimes, you even question whether you can just forget the whole thing. Ignore the temptation to move on, and take care of your ticket. That information probably made it to your home state. However, whether or not your license incurred points depends on your state’s policies and on which database delivered the unwelcome information to the department of motor vehicles. There are three databases that cover moving violations: the Driver’s License Compact (DLC), the Non-Resident Violator Compact (NRVC) and the National Driver Register (NDR). Because states are independent entities, not all states are members of all the databases, and different states process the information differently. As a general rule, you can expect certain consequences from each database’s report. If the DLC reports your violation, it makes the violation an equivalent violation in your home state. If your license gets suspended at spring break, it is also now suspended at home. If you incur points in Daytona, you now have those points at home. If the NRVC reports your violation, you are expected to resolve the matter in the state that issued the ticket. If you do not, then you may find your license suspended. However, no points will go onto your record, and your license will be restored as soon as you attend to the matter. This database is also called the Problem Driver Pointer System. Its original purpose was to keep a record of problem commercial drivers. However, anyone who has been ticketed for driving under the influence (DUI) or has had his or her license revoked or suspended is probably on this list. States routinely check the NDR registry before renewing licenses. However, having one’s name on the list does not mean an automatic rejection. 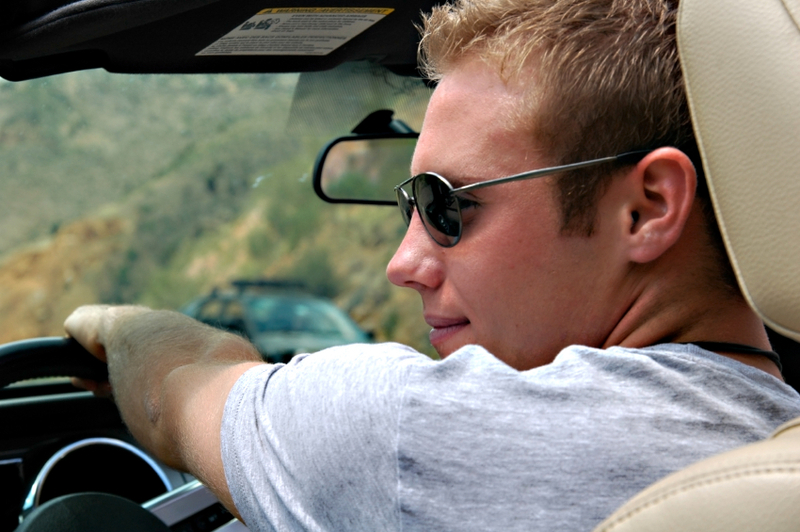 Employers, especially those who hire drivers or pilots, can also check the NDR registry before hiring. The future of reporting is through a database called the Driver’s License Agreement (DLA), although only three states, Arkansas, Connecticut and Massachusetts, are currently members. The DLA is supposed to close loopholes in the other agreements. To this end, states that become members agree to let DLA’s regulations supersede state law. In fact, DLA requires that a member state take action and assess penalties even if it has no law prohibiting the violation that occurred out of state. Even though only three states are members of the DLA, lobbying efforts indicate that this agreement is the future of reporting. The bottom line is that big brother is watching. Out-of-state violations are every bit as serious as in-state violations, and drivers would be wise to resolve them as quickly as possible. By Attorney Greg Tsioros. Visit his site here. 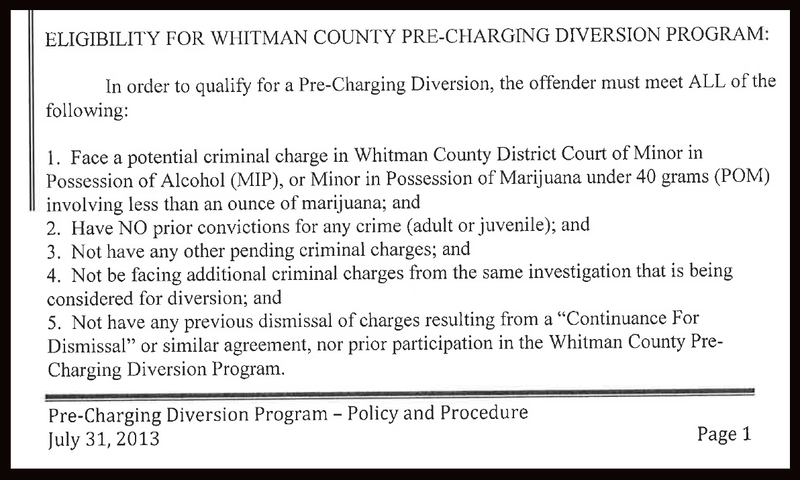 A diversion program in Whitman County may allow first time offenders avoid court for MIP. Old Program: You are formally charged with the crime of M.I.P. You appear in court, hire a criminal defense lawyer or get an attorney appointed at public expense, and hopefully work a deal. You would try to get an agreement so the case is dismissed after a year if: 1) you keep out of trouble, 2) do some community service hours, 3) pay court costs, and 4) go to an Alcohol Drug Information School (ADIS). New Program: You aren’t formally charged with M.I.P. but your receive a letter from the prosecutor inviting you to participate in a diversion program. You then agree to pay $350 dollars, go to an Alcohol Drug Information School (ADIS) class, do four community service hours, and stay out of trouble for a year. Minor in Possession of Alcohol, and Minor in Possession of Marijuana qualify. Charges of DUI, Fake ID, assaults, possession of ecstasy, etc do not qualify for this program. Failure to complete and return the Agreement within two weeks of the date of this letter may result in non-acceptance into the program. If you sign, date, fill out your mailing address / phone, and return the Agreement within the two week time frame, you will be sent a letter accepting you into the program. The letter will include reminders of what you have to do, along with the deadlines for completion of all obligations. If you would like to enter this program, but cannot afford the $350 fee, you may contact a Pre-Charging Diversion staff person at 509-397-****, to see if you qualify for a waiver of the fee. If you can prove that you have insufficient assets and are unemployable (such as by proving that you receive social security payments due to a disability), you will qualify for a waiver of the fee. However, if you are voluntarily unemployed or under-employed, you will not qualify for a waiver of the fee. For instance, if you are a college student and going to school instead of working, you will not qualify for a waiver. Similarly, if you have budgeted your money for school-related expenses and would prefer to not spend that money on the fee for this program, you will not qualify for a waiver of the fee. If you have any questions, you may call a Diversion staff person at 509-397-****. Who qualifies for this program? You have to have a squeaky clean record. Let’s take a look at the Whitman County policy that I obtained through a public records request. 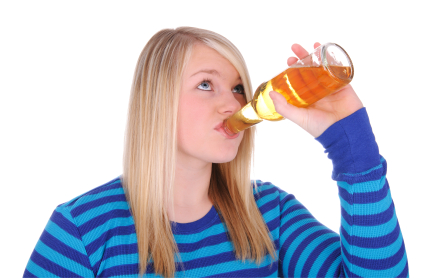 Don’t wait until the last minute to do the Alcohol Drug Information School. The classes are only offered every once in a while, and they fill up quick. You may be stuck driving halfway across the state to find a class if you wait until the last minute. Don’t try to do the ADIS at some online uncertified class. There are a lot of websites that claim their classes are “court approved” and sound official, but are really just an online business. Don’t wait until the last minute to sign up for community service hours. They need to be prearranged. Keep a copy of the agreement. If you lose a copy go and ask for another copy rather than try to ignore the problem. Don’t pay the fee late. Don’t re-offend. This might seem pretty obvious, but a lot of college students almost view it as their God-given right to drink alcohol. However a re-offense voids the agreement, and you can be prosecuted on both the old offense and new offense. The benefit of successfully completing such an agreement is that you will never even be charged with MIP, and you will never need to come to court. If you go to the hospital for an alcohol overdose will you be charged with M.I.P.? What if you are under 21 and drunk and you call 911 for a friend who is overdosing? Will a fraternity or sorority chapter get in trouble if 911 is called for an intoxicated minor who needs medical attention? These are some of the questions that medical amnesty laws seek to address. Medical Immunity laws vary from state to state, but a new Washington law, RCW 66.44.270(6), prohibits the prosecution of a minor who seeks medical attention for alcohol poisoning. More importantly, RCW 66.44.270(6) also prohibits the prosecution of a minor who seeks medical attention for another minor who is experiencing alcohol poisoning. What this means is that if your friend has overdosed on alcohol, you will not get him or her in trouble if you call an ambulance, or take him or her to the hospital. This also means that you will not get in trouble if it becomes clear that you were also drinking while underage. This law does not grant immunity to the person who furnished the alcohol to the minor. In addition to the immunity from criminal prosecution, WSU also has guidelines that protect students from being disciplined by the university. The WSU Good Samaritan Guidelines provides that when a student voluntarily summons professional assistance from police, medical professionals, university staff members or resident advisors for alcohol intoxication or a drug overdose, the Office of Student Standards and Accountability will refrain from imposing formal discipline for alcohol or drug use and possession under the Standards of Conduct for Students, on either the reporting student or the intoxicated individual. Although the school will not discipline such individuals, WSU does reserve the right to make such students take a class or seek counseling. It should be noted that the policy does not provide immunity to entire Greek chapters, and doesn’t provide immunity for hazing, or other related offenses. Under Washington State University policy, a student can actually be disciplined for not seeking assistance for a student who is suffering from alcohol poisoning. Each year, approximately 1,300 to 1,400 university students die from alcohol-related injuries, including alcohol poisoning and car accidents, according to the National Institute of Alcohol Abuse and Alcoholism. I was interviewed recently about the topic of “marijuana DUI” for the journal Elements at the University of Richmond, so I figured I this might be a good time to discuss the subject. When I first started working as an attorney in King County in the 1990’s, marijuana DUI was practically unheard of. It is really only in the last decade that police and prosecuting attorneys have even tried to prove “marijuana DUI” cases. Unlike alcohol, marijuana just doesn’t affect a person’s coordination the same way. We have all heard the expression “falling down drunk” but there really isn’t the equivalent of “falling down stoned.” Studies have shown that marijuana does not affect people in the same predictable manner that alcohol does. Much of the enforcement that DUI attorneys see today is really a backlash against initiative I-502. Law enforcement arrests have increased since the decriminalization of marijuana in Washington state because the police have more time on their hands, and they are concerned about people abusing the new law. Initiative 502 sets a “per se” limit of 5 nanograms THC for a driver’s blood. Also, Initiative 502 really puts minors in a difficult position because the law sets a zero tolerance level for any THC in a minor’s blood. Such a charge can pose a real hardship for college students. A conviction for marijuana dui stays on a person’s record for life, and it is impossible to expunge or vacate the conviction. The 5 nanogram limit for THC within I-502 was controversial and there is no real scientific evidence proving that that is the level that necessarily impairs a person’s ability to drive. In Pullman, Washington, I have seen charges brought against minors with blood THC levels of only 1 nanogram of marijuana. There are many legal challenges that can be brought against a court case alleging such an offense. The field sobriety tests or “FST’s” on marijuana DUI cases have not been certified to the same extent as alcohol related DUI cases. The author of this blog has represented and defended college students for over 10 years. He has been the guest of television and radio shows on the rights of college students and the changing laws on marijuana in Washington state.